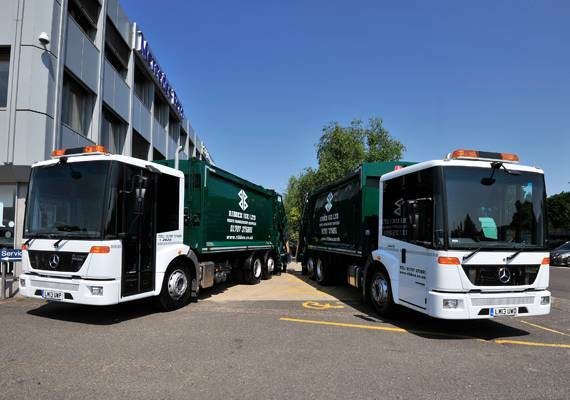 Ribbex has a dedicated waste collection fleet to service its local operating are of Hertfordshire and North London, as well as the rest of the UK. Innovation is key to the success of any company and at Ribbex we are always looking to reinvest in new technologies such as on board weighing. In July 2016, we took delivery of two new Mercedes trucks all fitted with on board weighing equipment and tracking devices. 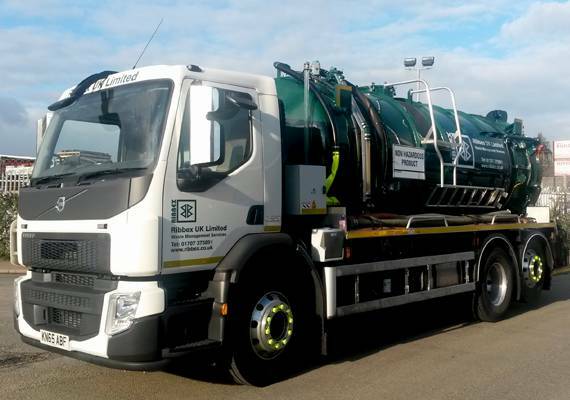 This will provide our clients with accurate data for any collections made and will also provide Ribbex with real time information such as location of trucks in the event that we need to provide extra emergency services to a client. With improved fuel usage it all adds up to an improved service whilst also reducing our carbon footprint. Our fleet is modern and young with the oldest vehicle being 3 years old.